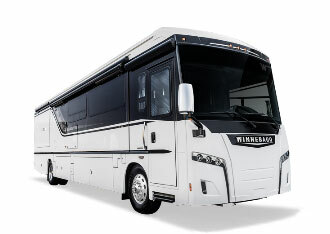 Winnebago Industries reports profits for its fiscal second quarter hit $21.6 million. The Forest City-based outdoor lifestyle product manufacturer reports that’s down about a half-million dollars, or 2.2%t, compared to a year ago. CEO Michael Happe says despite the drop in numbers from 2018 to 2019, the company continues to be in a very good position. Happe says the company is continuing to see positive things after the acquisition of the recreational boat builder Chris-Craft last year. “Consumers are showing tremendous interest in the Chris-Craft brand and its recent new products…and it is translating into positive sales and shipment trends for that brand,” he says. Winnebago posted revenue of $432.7 million, a decrease of 7.6% compared to the same period a year ago, topping Wall Street expectations.